For some reason I’d put a plastic bag on, instead of underwear. I spent the day walking around very aware of, and embarrassed by, the noise it was making. 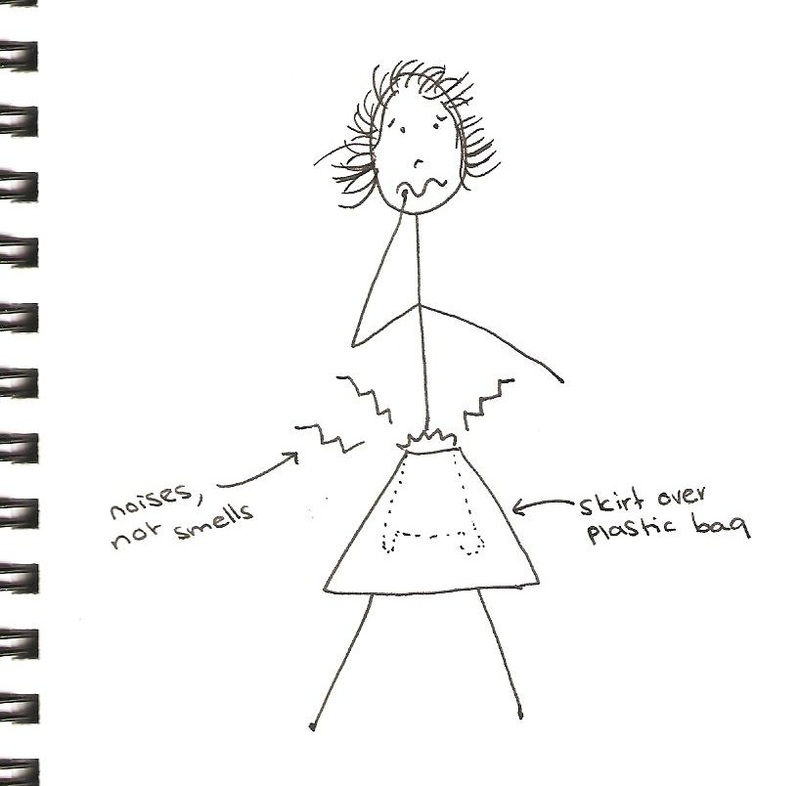 Posted in Uncategorized and tagged dream, Dreams-within-dreams, noisy, plastic, underwear. Bookmark the permalink. 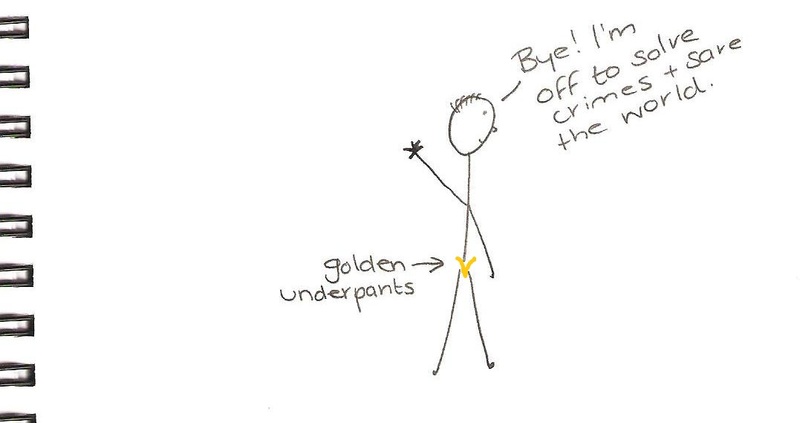 It seems that golden underpants are all you need to solve crimes and save the world! Posted in Uncategorized and tagged Dreams-within-dreams, superhero, underwear. Bookmark the permalink.